Hon. Chief Minster, Hon. 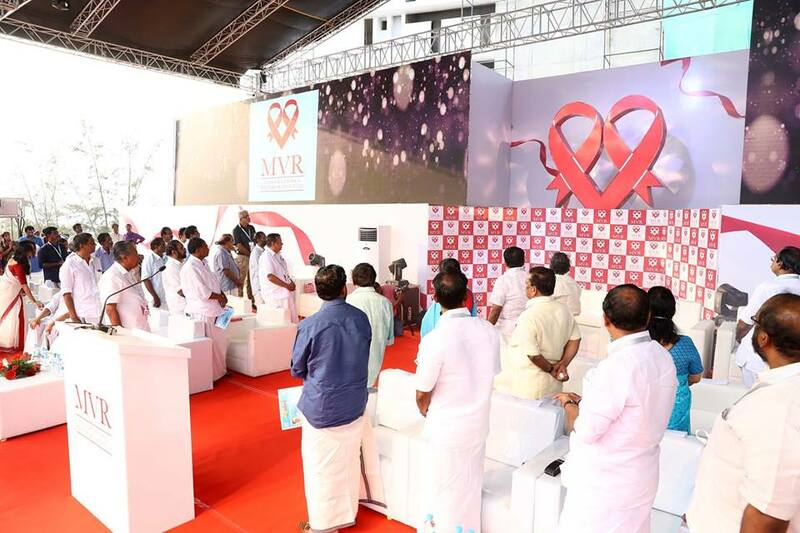 Ministers and distinguished guests at the spectacular event as the logo is about to be revealed at MVR Cancer Centre and Research Institute.